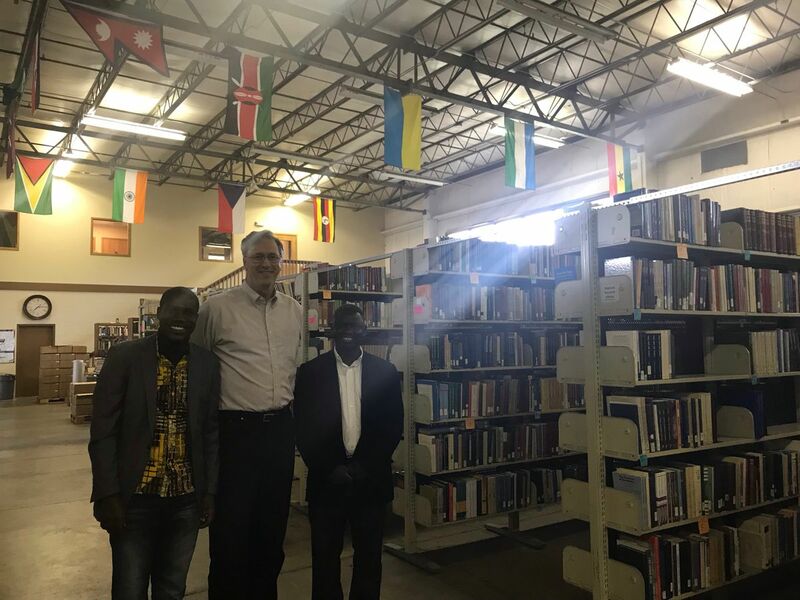 "The Theological Book Network, in my view, is one of the most important ministries in contemporary Christianity," said Andele Tadi (pictured above far right). Recently, the Theological Book Network had the pleasure of meeting and interviewing Andele Tadi, Nigerian pastor and graduate student at Western Theological Seminary in Holland, Michigan. Andele was gracious to share his own testimony, the unique challenges and opportunities the Church is facing in Nigeria, the urgent need for high-quality theological books for Majority World seminarians, and his perspective of the Theological Book Network. We hope you enjoy watching this conversation as much as we enjoyed filming it. Learn more about our mission, book shipments, and how to donate now.